Remember the first time you went away from home for an extended period of time? Your mother made sure you packed warm socks and clean pants, even if it was going to be 40 degrees Celsius in your final destination. She called and wrote you often, making sure you were eating your vegetables and brushing your teeth. She loved and worried about you. I imagine this is what the Musée d’Orsay is going through at the moment, having sent one of its most precious babies off to Italy for the summer. Oil on canvas, 130.5 x 191 cm. Olympia by Édouard Manet has called the Orsay home since 1890 and has never left Paris, let alone France. I’m sure she doesn’t feel so out of place, as quite a few of her mates (other Manet’s) have gone with her for this most astounding exhibit set to prove that Manet was more inspired by Old Italian Masters than those from Spain. 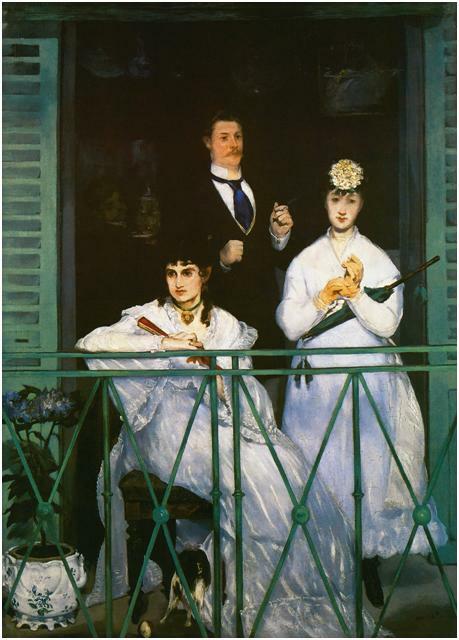 Édouard Manet, The Balcony, between 1868 and 1869. Oil on canvas, 170 x 125 cm. Really, based on previous Impressionist rants, I should not be interested in this exhibition at all, but I’ve got a bit of a soft spot for Manet and don’t personally lump him in with the others. Being the pivotal artist behind the transition between Realism and Impressionism, I still manage to understand and appreciate his oeuvre. But then, I’ve always been keen on a man willing to stir up a bit of controversy in the name of his views and beliefs. 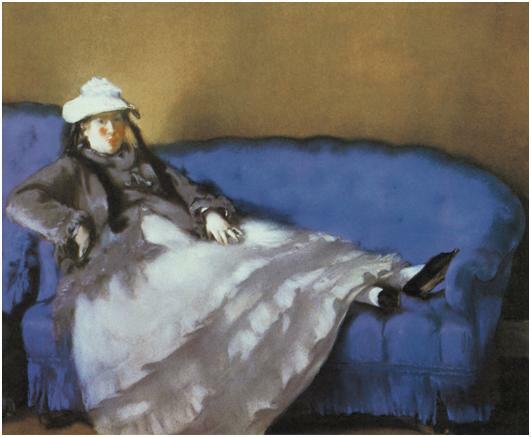 Édouard Manet, Portrait of Madame Édouard Manet on a Blue Sofa, 1874. Pastel on brown paper pasted on canvas, 49 x 60 cm. Visit the Orsay’s runaways and compare Manet to the Old Italian Masters, who will be represented alongside Manet’s masterpieces. 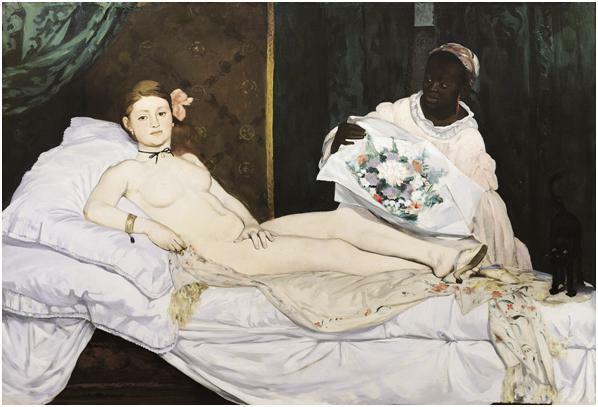 The exhibition (Manet: Return to Venice) will run through 18 August at the Palazzo Ducale. The artist’s controversial nudes of the late 19th century also make a great conversation topic; pick up Manet by Nathalia Brodskaya today! Previous Entry Color, trazo, luz: ¡bingo!